What Happens When an Hourly Employee Becomes Salaried? In organizations where hourly and salary employees are employed, people view a move from an hourly or nonexempt position to a salary or exempt position as a promotion. But is such a move right for an employee? More often than not, the answer to this question is: yes. But, if you receive or seek such a position, it's important to analyze the positives and potential negatives. Only after contemplation will you be able to look at the new offer and determine if it is the right move for you. One important thing to consider is that salaried employees aren't eligible for overtime pay as defined by the Fair Labor Standards Act (FLSA). So if you're an hourly employee who moving to a salaried position, it's important to consider how it may impact your paycheck. Usually, the salaried position pays enough more than the hourly position to make the loss of overtime pay inconsequential—but sometimes it's not the case. Additionally, hourly employees may have benefits, particularly in a union-represented workplace, that salaried employees don’t have. Union-represented employees often have protection for benefits such as their pension that exempt employees lack. Alternatively, many salary jobs have perks that hourly employees do not have. These include more flexible schedules, leaving for the doctor and other appointments without losing pay, and the ability to work remotely. So the hourly employee needs to consider the whole compensation and benefits package including available perks before accepting the new job. There are likely advantages and disadvantages to each. Organizations have different expectations of salaried employees. Hourly employees are paid hourly to produce a product or perform a task. Salaried employees have broader job descriptions that involve goals and outcomes that are less measurable than the goals for hourly employees. The hourly employee is paid for each hour worked with overtime and sometimes even doubletime on holidays. The salaried employee is expected to work the hours necessary to complete the job, no matter how many hours achieving the goals entails. Certain differences exist because of the nature of the work, too. 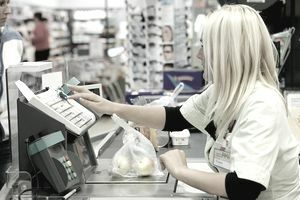 An hourly employee is finished with work when he or she goes home. It's actually illegal for an hourly employee to work off the clock without pay, so employers must prohibit this. The salaried employee is expected to think about the job off the clock. If you're a salaried employee, you may be expected to think about your job in the evenings and weekends. Salaried employees are almost never on the clock and their compensation is for getting the job done. People don't often talk about the nonfinancial aspects of moving from hourly to salaried employment, but they are substantial. In the average workplace, salaried or exempt employees get more respect than their hourly counterparts. They expect a certain amount of esteem that is attached to a salaried job. Employees are insulted if asked to move from a salaried job to an hourly job. It is a blow to their esteem and self-worth. Salaried employees experience more freedom and autonomy than the average hourly employee. They receive less direction and they are empowered to complete their whole job. They come and go as necessary to complete their job and this includes lunch and breaks as they desire, sitting at a desk when they want to, walking and talking at will. For the most part, they are the bosses, supervisors, managers and senior staff in their organizations. So, employees considering a move from hourly to salaried employment might also want to consider the non-monetary benefits of such a career-enhancing move. In an employee participative, empowering work environment, the lines between salaried and hourly functions blur with respect to responsibilities. But, an hourly employee moving to a salaried job most frequently takes on the responsibility for the department they may formerly have just worked in. Or, they take on the new responsibility of managing people who many times are their former coworkers. In another scenario, the hourly employee moves into a salaried role that requires decision making and autonomous actions. An individual who is used to a job in which most actions are predefined by a supervisor may struggle with the responsibility of the new role—or he or she may revel in it. Whatever the comfort level, the employee who moves from an hourly to a salaried role will spend time adjusting to the new expectations. But, many thousands of employees have successfully made the transition. Who Gets Comp Time and Who Doesn't? What Are Salary and Salary Requirements of Job Candidates? Should an Employer Increase Employee Hours with No Extra Pay?